We have been working closely with Jason at Deep Water Studios, he is our key 3D guru for our Retro Replicas project (for more on that, visit www.retro-replicas.net). 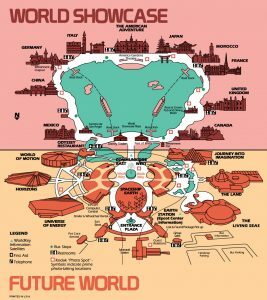 When Progress City posted a photo of an original 1982 EPCOT Center Map, Jason followed the conversation and realized there is a demand for a high resolution and zoom-able version of the map. 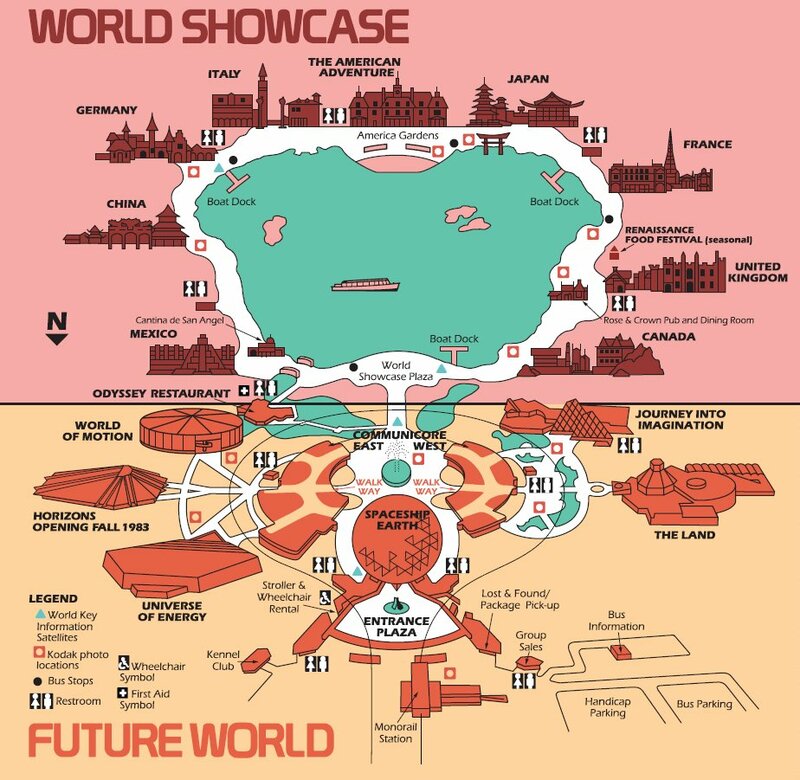 Jason quickly reached into his bag of tricks and in a few hours had re-created exactly what people are clamoring for; a hi-resolution 1982 EPCOT Center map!Jason has graciously allowed us to distribute his maps here. Feel free to download and print for your own personal use. 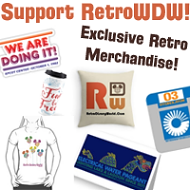 If you get a chance please tweet out a thank you to @jasondws He’s a great guy that loves all things Retro Disney World like we all do! He’s spent a lot of time reproducing the original maps!